Stats are up now. Dalton started to pull away in week 6. Up til then Anthony had been close and some weeks in front. There’s not a lot else worthy of discussion though. In keeping with the series even the voting stats are boring. Dalton wins and might do well. But I have a feeling Scarlett may have a better career from X Factor. She has a good, outgoing personality and brings enjoyment and humour to her performances. Very interesting to see the vote transfer in the freezes. Most notably Misunderstood’s elimination seemingly resulting in a spike in A&A’s vote, and moving them ahead of Gio and almost allowing them to clear the sing off. The show was more laissez-faire this year compared to most. It showed in the stats; with a few nudges, things would be very different in the middle of the pack. Well, the stats do reveal a few things. Namely that the eliminations and their supposed orchestration only served to remove the lowest vote act each time, so if it was down to the public vote the outcome wouldn’t have been any different – hopefully this can put this conspiracy to bed. Another common theory can go too – the so called “pimp slot”, as it had absolutely no impact particularly on LMA or Gio. And the Anthony stories hit the press well after it was patently obvious Dalton was going to win – so any suggestions these were “planted” by “TPTB” to deramp his vote somehow were utter nonsense. It just proves – likeable acts with good performances will win. Get it wrong with a terrible choice (Misunderstood) and you’ll be in trouble. That’s all it is. Am I missing something? LMA choir never performed last and Gio was 5th on his pimp slot, never above 8th in the other weeks. What a dull series, I even forgot the final was on oops. 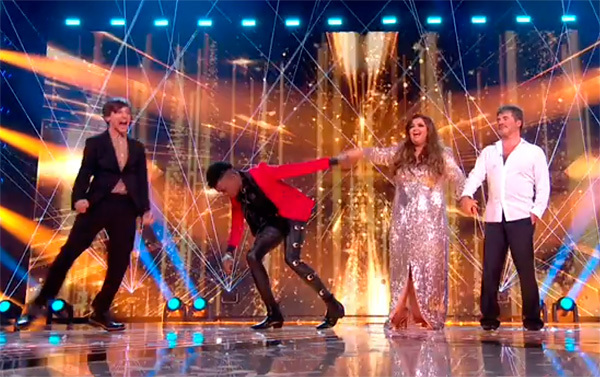 Not surprised to see Dalton win though, the duets suggested he was the preferred winner as the winner’s single has been a christmas song several years running and James Arthur could do with the biggest boost now, Leona being a lost cause and Ricky Wilson being not christmassy at all. Somewhat surprised to see Anthony leading half the weeks from the off, just does show I think low viewership these days. Shan seems to have been nobbled to go out though, surprised a little to see her trending 2nd-3rd every week until she dropped out. I had anticipated Scarlett as top girl from the off. No other big surprises in those stats except A&A being moderately popular from the off and arguably earning that 4th place from never actually being in the bottom 2 voted acts. I will have to eat my words from the pre-series this year not being able to see who in a million years would vote for them – clearly, lots of people! I can only wish them the best. Phew…got out level in the end. Criminal Shan wasn’t there in the final. Anthony’s journey was about 6 weeks too long. Louis’s followers have a very helpful hand in the series. Shan’s journey is the most interesting of the series. I’d suggest that a final three of Dalton, Shan and Anthony would have seen a very close result. Shan had to be nobbled. I think TPTB might’ve worked harder on Dalton especially in the last couple of weeks to pull ahead of Anthony as it probably wouldn’t have looked good if Louis Tomlinson’s ‘trust fund’ won the series. This series felt flat after I found this out and suprise suprise he’s in the top 3. Secondly the deal that went on to get Robbie on the judging panel? They had to get his wife on too… and then he’s f***s off to South America for most of it… well I guess Robbie is laughing all the way to the bank with that one. But the show suffered a lot from it…. wow how will next year fair? Fitting that the most-viewed video in the Live Shows this year is Cheryl’s guest performance: sums up the series in a nutshell. The voting stats say it all really. If tptb had not changed the format of the final’ elimination wise and not nobbled anthony with “i predict a riot” for the winners song for the charity, he would have won it. Can anyone remember if they gave people five new app votes after the vote freezes in weeks 2, 4, 5 and 6? These numbers won’t be quite right, because presumably some people will phone/text instead of the app, and some will use up all the five app votes then phone/text more votes. Don’t know how we might estimate those proportions, though. Hi Andrew, I’m pretty sure they did give another five free votes on the App. Are people allowed to vote across multiple devices? Dedicated and determined fans would be able to cast more votes if yes. People in my household voted across multiple devices. I fix computers and phones etc for beer money and they were all at work that night trying to earn me money. Seriously, you could write a batch program and change the machine address and IP address and repeatedly vote. I don’t think this has happened so far, but you can’t be sure. Whatever, the system is discredited. All that work and ended up even. Luckily I bet on Dalton very early on. I was sure Scarlett was being pushed, but turns out, she wasn’t pushed far enough to overturn Dalton. What a rotten series. Bizarre how even after the winner is revealed and the voting stats are released people still see things so differently. Would love to know what makes anyone think Shan was nobbled and would have made any significant difference had she been in the final. To my eyes she was given fair treatment but just wasn’t popular enough. It wasn’t so much her treatment but the treatment of others in big band week. In particular, Danny Tetley. I agree with you alan. But the belts and braces approach towards anthony, format change/running order/charity song..I predict a riot, was (in my book) as close to a maloney and the devil eyes situation that well see in a while. The Juan – given that Dalton was nearly 15% above Anthony in the end and the vote closed just minutes after he performed I would suggest that Dalton was already winning after night one, as he was for the semi, AND the week before that. I think that the choice of Anthony’s winners single had nothing to do with the final result. Dalton was on the trajectory to win from half way through, if not before. Poor Shan. Eliminated to boost Daltons vote %. Looks to me that by week 4 they are concerned that Anthony is remaining too popular. With a limited pool of votes to manipulate they had to eliminate Shan and hope the votes transferred to Dalton. They got the desired outcome and Dalton pulled away. The change of format in the last weekend is most interesting. I think they decided they didn’t want Anthony winning a couple of weeks earlier. Unlike others, I do think the negative stories had an influence, and were from a TPTB source, or at least tacitly accepted. None of the stories were denied – most journalists check with the press office. But I said ages ago TPTB were toying with us. Good game for them really, especially since they know the stats and also have access to betfair. Not followed X Factor this year so been a bit quiet, but just read via the Eurovision groups that Daniel has passed away. I didn’t know him well and only met him once, at the UK National Final in Brighton this year, but he was a top guy and he and this site have made me more than a few quid. Rest easy mate. I’m sure I’m not the only one who’ll put a wager on for you in Tel Aviv. That’s very sad. Top bloke. RIP. Terribly sad news. 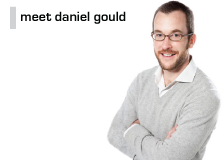 Absolutely loved Daniel’s articles on the site, full of insight and humour. Rest in peace.